Pizza flavour Khakhra chips Relish the unique taste and creative blend of east and west in Sattviko’s Pizza flavor Khakhra chips. The roasted khakhra chips give out the delicious aroma and taste of pizza and not calories. The tantalizing taste of the pizza sauces and the crunchiness of Khakhra is sure to be a great hit with the kids and a healthy alternative to other snacking options. The Khakhra is made from wheat and tossed with flavors and spices with no preservatives. Have these khakhra chips for a quick munch or to satisfy cravings when on a diet. It is healthy snacking reimagined. Want a pizza but not calories? 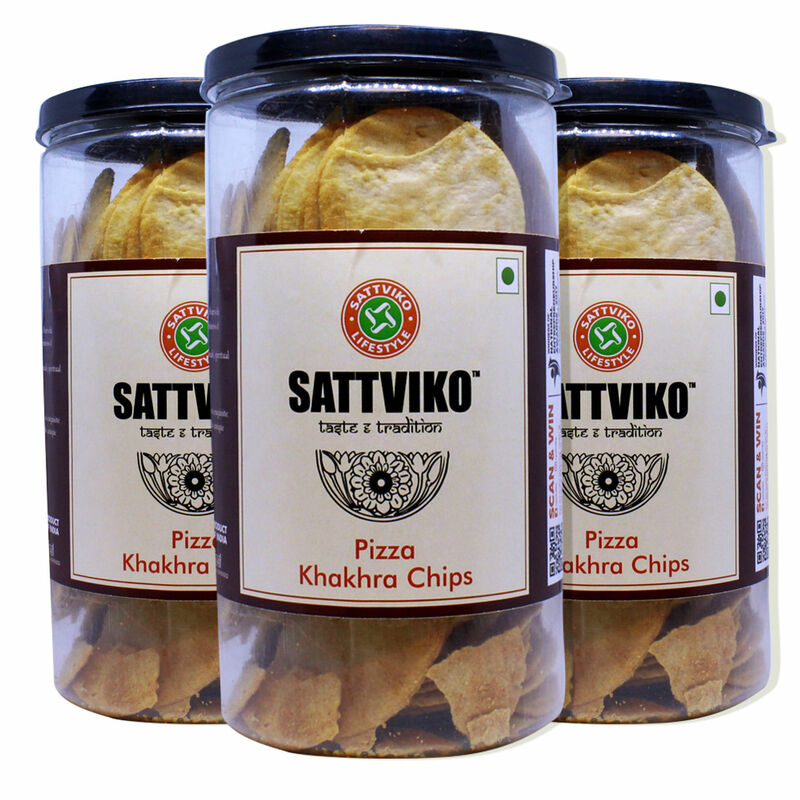 Then try Sattviko’s pizza khakhra chips today.